Adapted from Jenny Downham’s 2007 novel Before I Die, Now Is Good is a rather safe and predictable story but Fanning, Considine and Williams keeps things watchable throughout. 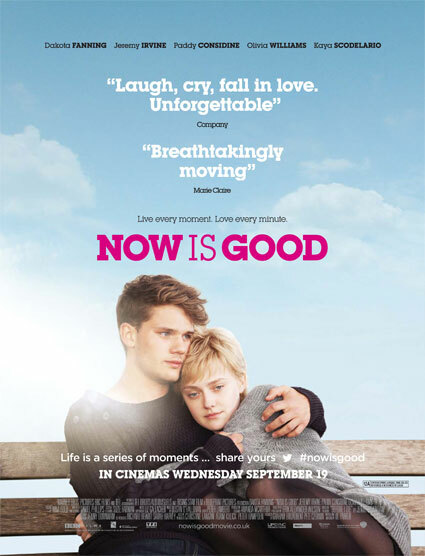 Don’t miss your chance to see a free advance screening of the moving and unforgettable Now is Good, starring Dakota Fanning and Jeremy Irvine. The prize for each winner chosen will be a free pair of tickets to the advance screening of Now is Good at selected Vue cinemas across the UK and Eire. The screenings will be on Thursday 13th September at 18.00 for an 18.30 start. 2756 pairs of tickets will be allocated in total across the selected 28 Vue cinemas. Winners will be notified by email – an e-ticket will be sent to the successful entries on Tuesday 11th September. For more information and to sign in for your chance to win click here. We already had some rumours regarding the moving of the UK release date from 25 May to 21 September, but today we know it’s really official. According to Ol Parker Twitter, Now Is Good will be released in the UK on 21 September of 2012, and Warners Bro, are very supportive of the movie, which means we will have lots of promotion. Now about the US release date. He didn’t say when it will be release, but it seems that they are working on that, and of course he will tell us when there’s something definite. 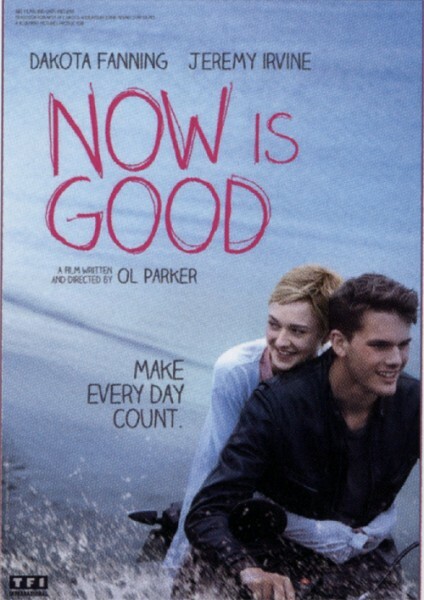 According to Ol Parker’s twitter, he will soon gave us some news about Now Is Good, more precisely about the UK & US release date. Movie Synopsis: A girl dying of leukemia compiles a list of things she’d like to do before passing away. Topping the list is her desire to lose her virginity.